U.S. stocks and commodities, including gold and other precious metals, fell Tuesday as fresh concerns about global growth worried investors. Those worries were sparked by economic news out of China on a potential weakening in auto sales, falling home prices, and on slowing steel production. "There will be some sort of slowdown coming out of China and the Asian economies," Bloomberg quoted Tim Price, who helps oversee more than $1.5 billion of assets at PFP Group LLP in London. "It can definitely take the heat out of the commodities markets." Gold prices fell $20.30, or 1.2%, to $1,647.00 an ounce in the April futures contract on the Comex in New York. Gold’s intraday low and high were locked in at $1,641.20 and $1,664.90. Gold prices were also said to be pressured by lagging physical demand out of India due to the government’s import tax on gold and the resulting strike by Indian jewelers. MarketWatch recounts: "This ‘strike,’ which the industry association claims has been joined by more than 90% of the country’s 300,000 gold jewelers, has now been ongoing for four days and looks set to continue," said analysts at Commerzbank. "An association meeting with the Indian finance minister, at which there were calls for the duties to be revoked, would appear to have produced no results," they said. "This is likely to have a negative impact on demand, and therefore imports, at least for the time being, which could prevent any renewed climb in the price of gold." Silver prices for May delivery declined $1.121, or 3.4%, to $31.834 an ounce, ranging from $31.75 and $32.96. Platinum prices for April delivery settled down $30.40, or 1.8%, to $1,654.30 an ounce, trading between $1,646.60 and $1,681.60. Palladium prices for June delivery lost $10.55, or 1.5%, to $697.05 an ounce, trading between $692.75 and $708.35. Precious metals were lower in London as well. When comparing the most recent London PM fixings, gold declined $4.75 to $1,656.75 an ounce, silver dipped 22.0 cents to $32.22 an ounce, platinum dropped $17.00 to $1,656.00 an ounce, and palladium fell $3.00 to $699.00 an ounce. One-tenth ounce American Gold Eagles have been on a bit of a mini rally of late, with U.S. Mint sales showing their numbers up 10,000 on Thursday, an added 5,000 on Monday and another 5,000 on Tuesday. The 22-karat gold bullion coins have sales of 25,000 for the month, which is five times the amount sold in the previous month. The bureau’s largest American Gold Eagle, the one ounce coin, also advanced Tuesday with a gain of 1,000. 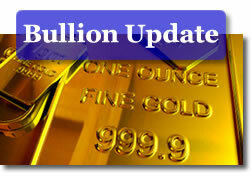 The following are the Mint’s most recent daily monthly and year-to-date bullion coin totals. All bullion sales in the above tables are in number of coins sold, not in the amount of ounces sold. The U.S. Mint has not sold five ounce bullion silver coins since Monday, March 12.